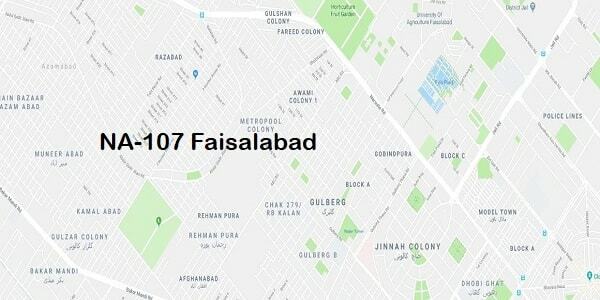 In halqa NA-107 Faisalabad-VII, the contesting candidate of Pakistan Muslim League Nawaz (PMLN) is Haji Muhammad Akram Ansari. Contesting candidate of Pakistan Tehreek Insaaf (PTI) is Khurram Shahzad. Contesting Candidate of Pakistan Peoples Party (PPP) is Sardar Muhammad .While the contesting Candidate of Motahidda Majlis-i-Amal (MMA) is Muhammad Hanif in general elections 2018.